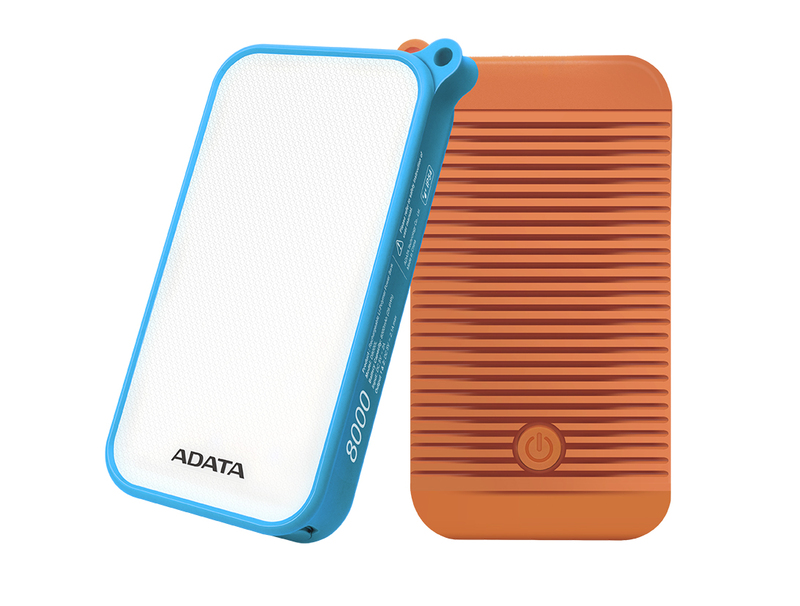 ADATA Technology, a leading manufacturer of high performance DRAM modules, NAND Flash products, and mobile accessories today launched the D8000L power bank, which doubles as a powerful LED light source. Unlike other power banks that have a narrow beam flashlight built-in as somewhat of an afterthought, the entire top side of the D8000L is devoted to multiple LED bulbs that form a uniquely powerful light source. The D8000L is also IEC IP54 dust and water proof, and delivers 2.1A of charging power through dual USB ports.